I always add milled flax seeds to my morning smoothies. Flax seeds contain several b vitamins, are rich in omega-3 fatty acids, high in fiber and contain magnesium. When flax and chia seeds are combined together you have the ultimate superfood. Chia seeds are low in carbs, gluten free and packed with Omega 3’s, vitamins, antioxidants, protein, fiber and minerals such as calcium, magnesium and zinc. 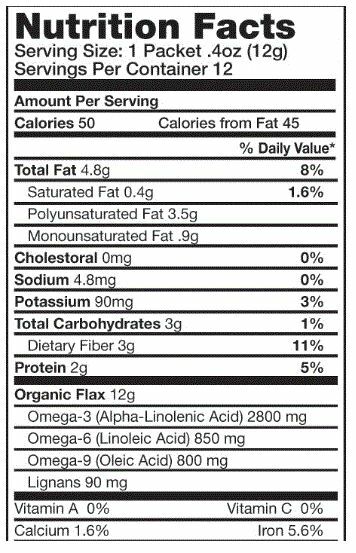 Organic Milled Flax Seeds also contain hormone balancing phytoestrogens called lignans. 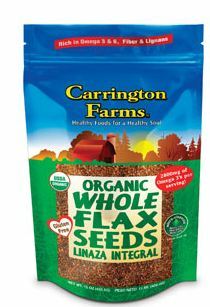 Carrington Farms has put together fax and chia seeds in a nutritious ready-to-eat Milled Flax Chia Blend. Together this blend provides and excellent source of energy and nutrients for lasting heart health and a metabolism boost. 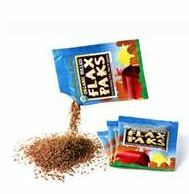 Carrington Farms Ready-to-eat Flax Chia blend can be added to yogurt or smoothies for breakfast or as a topping to salads or used as a binding agent in meat loaf, casseroles or hamburgers. I also add this blend to my whole grain oatmeal. Carrington Farms also carries super convenient single serve Ready-To-Eat Organic Milled Flax Paks and Organic Extra Virgin Unrefined Coconut Oil. Organic Milled Flax Paks are the perfect size to carry in purses, lunch boxes, or laptop cases. For more information on Carrington Farms visit Carringtonfarms.com. *Disclosure: I received a package of Carrington Farms Ready-to-eat Flax Chia Blend in exchange for this review. All opinions are accurate and 100% mine.